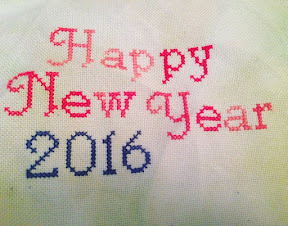 StitchyDonDesigns: New Year Goals !!! Well so much happened last year that the time just flew by !! 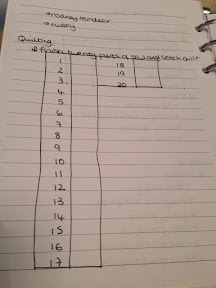 With studying and working my blog and stitching had to take a back seat. I only have a few months left of college and then my time will be my own again. It has been very challenging juggling both but my main regret of 2015 is the neglect of my little blog. Until I finish college I am not putting any pressure on myself but I just want to make progress on my main rotation and finish up some small WIP's that I have lying around. I also want to blog at least once a week but I'm not going to beat myself up if I miss a week !!! 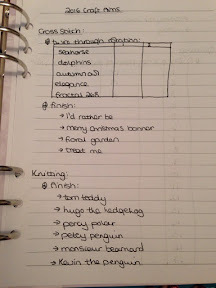 I've written my aims in my planner so I can see them ready for motivation !!! 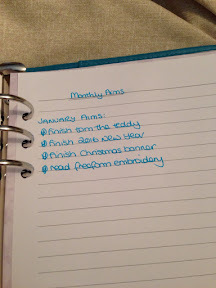 I am so excited for my 2016 goals !!! I think my next post will be a recap as its been so long since I've shown any of my projects !!! Great start to the year! Good luck with school I just started my masters program so I feel your pain lol. Looking forward to your progress! Thank you, I think my main aim this year is just to enjoy my stitching and finish up some smaller hanging around projects so that I can make real progress when college is over !! !